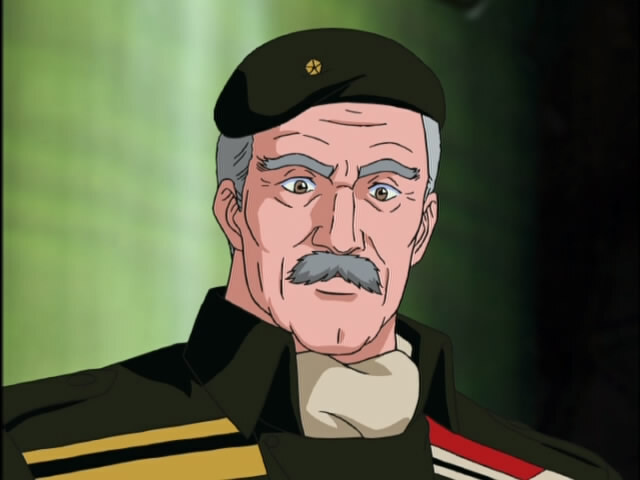 The conclusion of the 3rd Battle of Tiamat, as well as the final episode of the second Gaiden series sees Reinhard come to the rescue of the Imperial fleets on the battlefield. That also means the end for Holland, though his fellow commanders could see that coming from miles away. They do well to avert further disaster which earns them respect from Reinhard, though that would not come to fruition for years. Finally, Reinhard earns his promotion to Admiral at just age 19 and with it a prize bestowed on very few. But Ulanfu, we both know Holland is screwed, how can we make it look like we knew what we were doing? The battle portion of this episode revolved around the actions of three commanders who knew exactly what would happen to the fourth, but just waited for it to happen. Reinhard initiated this moved by ordering his fleet to withdrawal without engaging in combat. Bucock and Ulanfu saw this happening on the Alliance side and knew that the Empire had a commander who knew what they were doing. The risk was being run that the 11th Fleet of Holland would be massacred as a result if they did nothing, so Bucock sent repeated orders to withdrawal. Reinhard also had to deal with a fleet XO who seemed determined to only do what Central Command wanted and questioned every decision Reinhard made, pushing his patience to the limits. Holland, being the fool that he was, boasted that he could conquer Iserlohn, then Odin and personally kill the Kaiser. With that in mind, he chose to first ignore Bucock’s order given the fact that he was running riot over the 3 Imperial fleets he was engaged with. Bucock again sent him an order to withdrawal so the fleets could be reorganized. Holland replied to the effect that his brilliance wasn’t being properly recognized. Bucock finally threatened him with a court martial, at which point Holland cut off communication. Oh yeah, I'm the man. 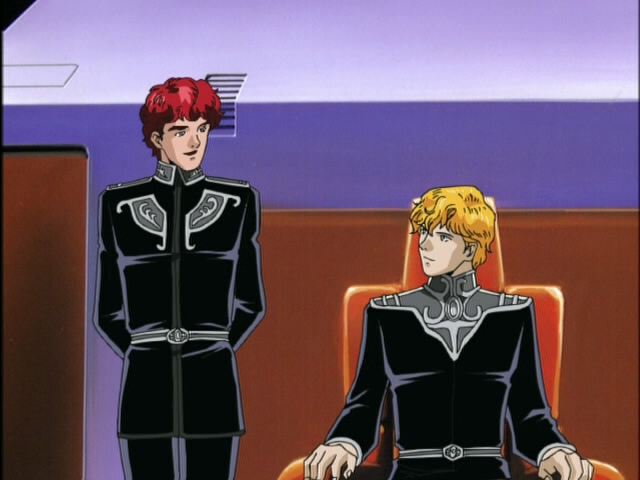 Reinhard in observing the incompetence of his allies in front of him told Kircheis that they would need some talent to emerge that would allow them to accomplish their goals, though the lack of talent had allowed them to ascend so rapidly. His XO asked if they should withdrawal, which got an angry response for even acknowledging the possibility of defeat. He then ordered his fleet to stop and launch an artillery attack. The first wave decimated the Alliance 11th fleet with Holland killed in the attack. The 2nd finished off most of the rest of the fleet which was disorganized without a commander. The battle had effectively been won at the death by 2 attacks. While the rest of the Imperial fleets moved in to chase the 11th Fleet, Reinhard was restrained from doing the same by Kircheis. He had already accomplished enough in this battle. The battle wasn’t a total loss for the Alliance as Ulanfu and Bucock were able to minimize the damage because they anticipated what would happen. Reinhard and Kircheis were impressed at this rare show of ability by the Alliance. Kircheis suggested they send a message to the Alliance admirals, but Reinhard knew that Steiermark’s condolence message on the death of Ashbey had earned him scorn. 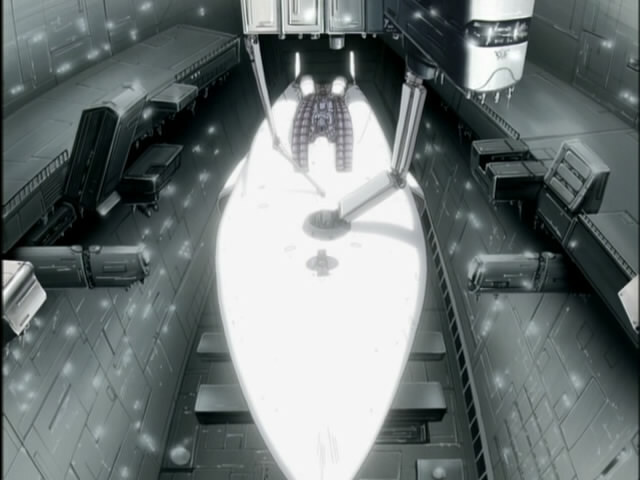 On the Alliance side, Bucock struggled to remember a quote he heard from Yang about heroes in every day life. The double promotion to Fleet Admiral that Holland would have earned would not be bestowed on him as a punishment. Another flawless victory, amazing how much better we look than our peers. On the Imperial side, there was no need to occupy the Tiamat Starzone, so the fleets returned with their PR victory. Reinhard’s artillery strikes were viewed as lucky by those higher up the chain, but there was no doubt that he had the largest contribution to the battle. As a result, he earned the unheard of, outside the Goldenbaum family, promotion to Admiral at age 19. 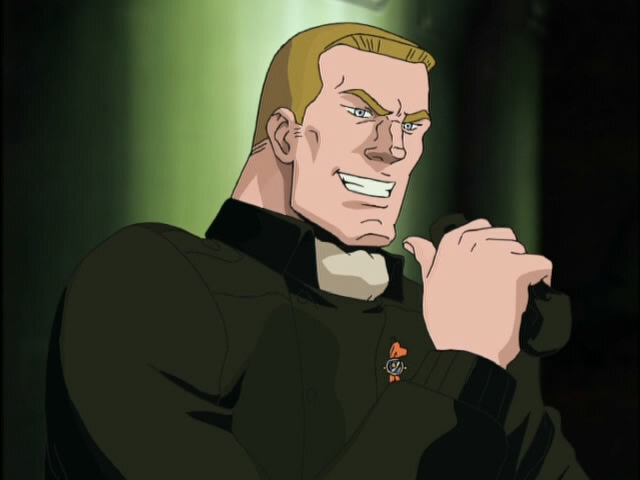 Kircheis was also promoted to Commander, but he was happy as he could still serve under Reinhard. 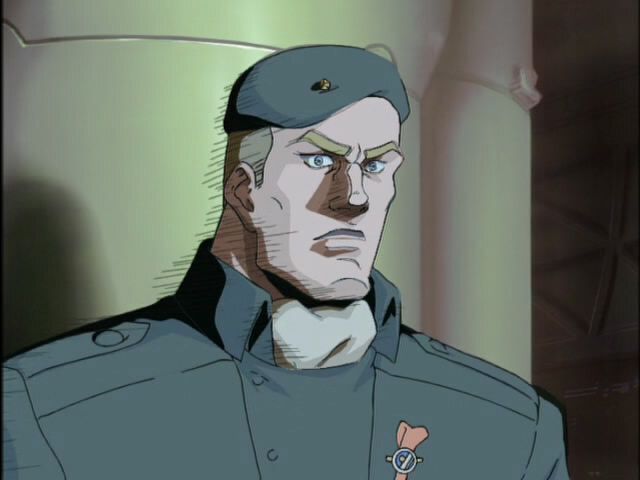 Though Reinhard was given a post with no actual power at this point, he was given something by Friedrich that could not be taken away without his consent because of his accomplishments. That would be the Brünhild, the newest flagship of the Empire featuring all of the latest technology. Reinhard was thankful and had a message sent back to Friedrich to convey that. 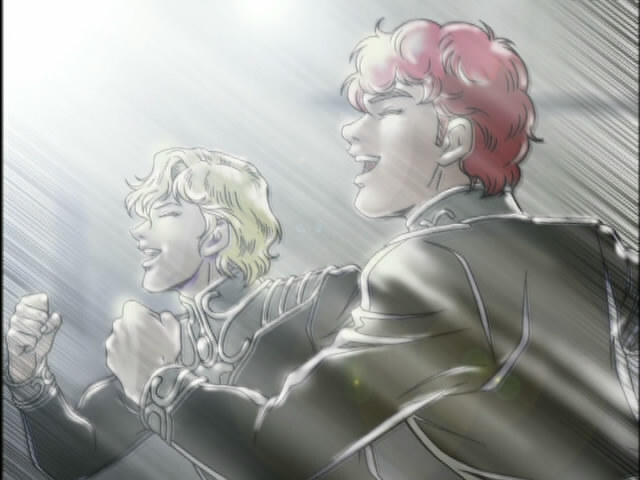 There was genuine joy on Reinhard and Kircheis’s faces as they had a symbol of their feats that could not easily be taken away, but it would be just a short 4 months before Reinhard would get to face his eternal rival on the battlefield at Tiamat, Yang Wen-li. Reinhard's flagship in all of its glory. Thoughts: So we’ve finally reached the end of the second Gaiden series. The animation in this episode was just as unspectacular and cheap as it has been throughout. Fortunately, we can all look ahead to My Conquest is the Sea of Stars the second of 3 movies in the franchise next week. Finally, a return to the Reinhard-Yang clashes of lore. Funny thing is, Willem Holland would have been a typical officer, if he was born in early 20th century Imperial Japan, where idiots who think the only tactical decision available is to blindly charge against enemy position, were plenty. It did have that sort of feeling. I don’t know if there is some sort of larger message in Holland’s character as much as a character like Fork. And… You are talking about the movies already, but aren’t you going to watch four ‘Dishonors’ episodes, which take place between the 3rd and 4th Battles of Tiamat? Oops, never mind. My bad. Dishonors takes place AFTER the 4th Battle of Tiamat, right. I was going to point that out, but you beat me to it.